Kadavallur Anyonyam is a historic event where two groups of Rgveda Naboothiris belonging to Trissur and Tirunavaya Brahmaswam Mathas of Kerala meet at the Sree Ramaswamy Temple, Kadavallur, Trissur District, Kerala and conduct various examinations in the chanting of Rgveda. This is a unique practice both ritual and pedagogical. This helps for preserving the memory of the Prakrti and Vikrti Pathas of Rgveda chanting among the Namboothiris of Kerala. Various titles like Mumpilirikkal, Katannirikkal and Valiya Katannirikkal are conferred to the scholars who successfully prove their excellence in the contest. These titles can be compared to the modern higher degrees like M.A, M.Phil and Ph.D. This type of oral examination is not practiced for other Vedas in Kerala or for any Vedas in other parts of India. Kadavllur Anyonyam has a history of hundreds of years. Recently, for the last twenty five years, national seminars, workshops, lectures, discussions, cultural programmes etc.. related to Vedic studies use to be organized on the stage outside the temple along with the ritual and oral examination inside the temple. Usually Anyonyam is conducted for ten days, out of which eight days devoted for examining the proficiency in chanting the portions from each Astaka of Rgveda (Total eight Astakas and thus eight days). The remaining two days are devoted for the ceremonial chanting of Yajurveda and Samaveda of Kerala Tradition. The ritual ceremony is conducted in two phases on each day. The first phase is called Varam (examination in the chanting of Kramapatha portion of Rgveda) which is conducted late in the evening before the Puja in the temple and the second phase is the examination in the chanting of the higher modes of Rgveda in Jata and Ratha Pathas which is organized in the night after the Puja. The total time for the chanting of the two phases a day will take three hours. Three scholars use to participate for Varam, one for chanting and two for showing the Hastamudras. For Jata and Ratha, two scholars are to be present. Thus total hours of documentation of Rgveda Anyonyam for eight days will be 24 hours (8×3=24) and for Samaveda and Yajurveda for the other two days, 3 hours each (Total 30 hours). The scholar participants needed will be forty (8×5=40) including the members from both the two Mathas, for Rgveda Anyonyam and two each for Samaveda and Yajurveda (total 44). 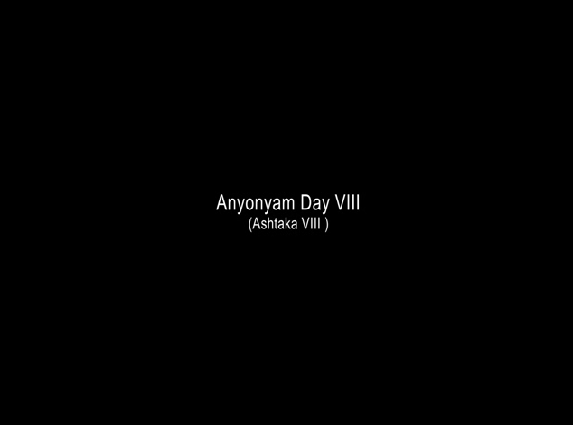 IGNCA has documented the proceedings of the Anyonyam with a group of twenty Vedapathins of the Rgveda at the complex of the Ramaswami temple, Kadavallur, near Guruvayur, Kerala and out of the documented material we have finalized nine hours of recordings. It is rare record of one of the unique Vedic traditions of Kerala that is going to be extinct in near future. Edited matter has been presented like a documentary itself and titles were given in the places wherever necessary. After eight days rituals proceedings of Anyonyam, a portion has been added for more than one hour in the documentary on the methods of traditional teaching and learning of Rgveda of Kerala. 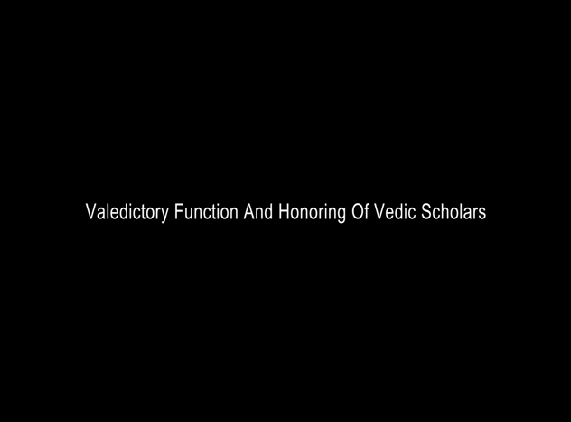 We have also included the documentation of closing ceremony of the documentation where all the Vedic scholars were present.